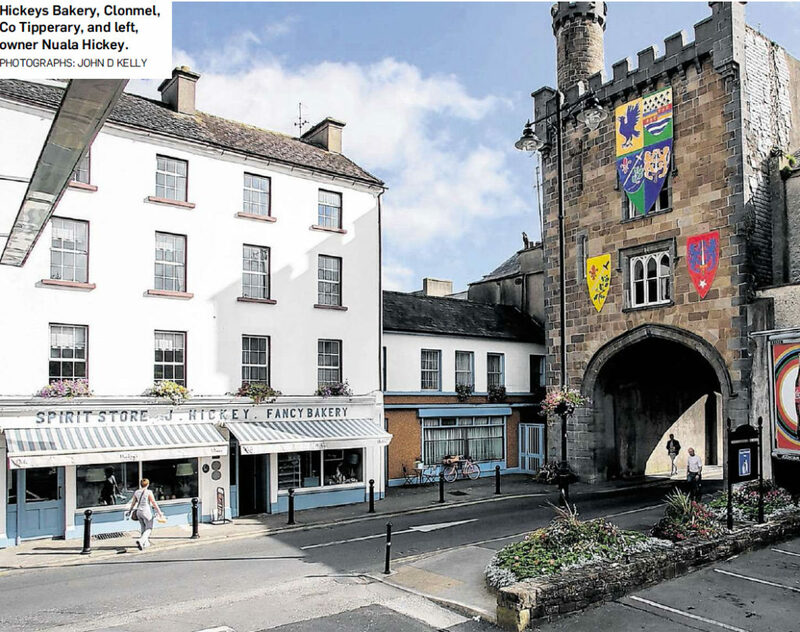 Set snugly in the shadow of the West Gate in Clonmel, Co Tipperary, Hickey’s Bakery is as much a part of the town’s history as the old arch itself. 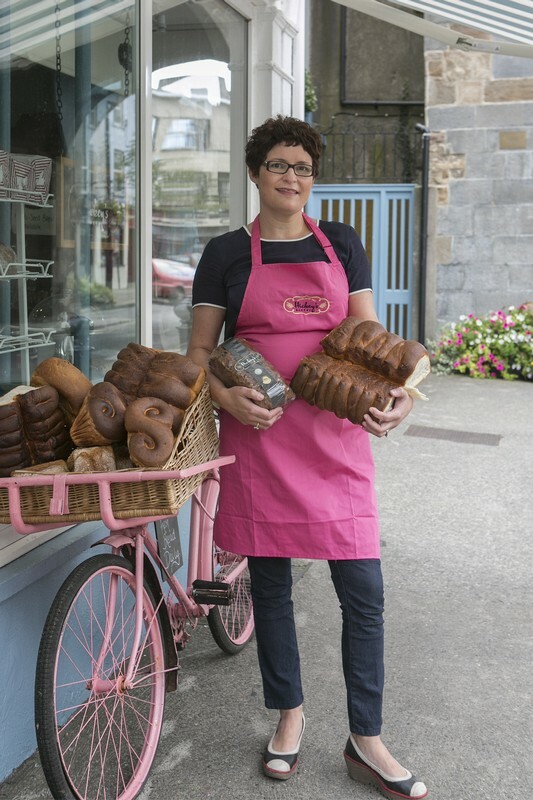 Originally established in the 1900s, the store has been home to no less than four generations of Hickey bakers. 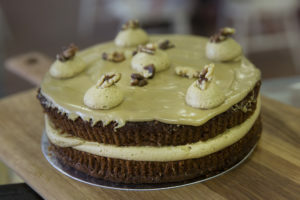 The youngest of these, current owner and local entrepreneur Nuala Hickey, has been in the business for more than 20 years, and – judging by the number of awards the bakery has garnered during her time there – she’s doing a good job. They share shelf-space with other locally made products: jams, sauces, crisps and apple juice, chilling in a corner fridge. 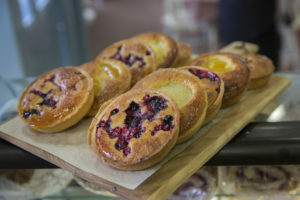 The store has been recently renovated, and Crystal Halley sees it as proof of how the bakery “constantly evolves to meet their customers’ needs”. However much Hickey’s may change, the shop remains fixed as an institution in the minds of locals. 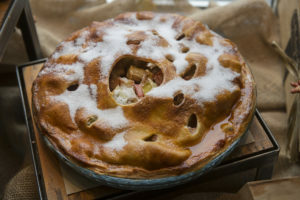 Generations of bakers are not the only ones to find a home here. 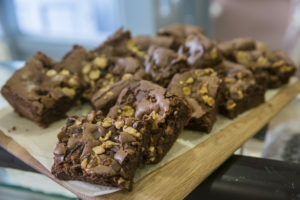 The store is a family affair on both sides, Karen Canty being part of one such family that has frequented the spot for years – and she reckons the “freshly made sandwiches are the best around”. 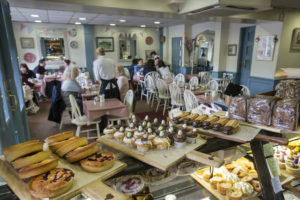 Hickey does not easily accept praise, crediting her customers, her staff: “Helen – she’s very personable to customers”, and the location “we have that lovely view of the mountains”, before herself. 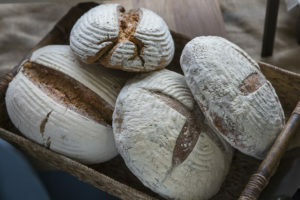 But Hickey’s is a special place, where Cate McCarthy claims “every visit feels like you’re having a cup of tea at a beloved granny’s house”, the bread comes in brown paper bags and “you can feel the history” when you walk in the door. As a caretaker of that history, and all the paintings, plates and packaging that goes with it, Nuala Hickey is doing well in the eyes of her customers. It’s clear they’ll be in for tea tomorrow, at any rate.